I found a bug, that is every 8 to 10 hours my phone says "No SIM card" in SIM1 slot. But if I just restart the phone, both sim work again. The SIM is OK. This phone has keypad light... so this isn't gonna be a spooky phone in dark...as some ppl are trying to say in here. Both SIMs stay in standby mode in general idle state. Both are ready to receive call. If u try to make a call with one SIM or receive a call, the other one will automatically deactivates itself right at the beginning of the call process. It'll be automatically reactivated when u finish the call. That's how it works. I just bought this cell phone, black one. Made in China. It has keypad illumination back-light. Back-cover sits firmly, no squicky sound. Itz not yet restarted automatically. Overall build quality is very good. Display resolution is very poor though. 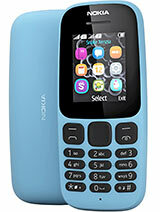 I am using Nokia 101, In this phone i using both sims. Receive any call (sim1 or sim2) loud speaker automatically on. Wow! I am surprised it has an MP3 player! azmi, 07 Dec 2011why my phone can't send msg???? so bad... 1) you don't have balance. 2) you don't have sim card. 3) you don't know how to sms. 4) you don't have coverage. why my phone can't send msg???? Can Nokia 101 recive a call from 2nd SIM when im already on a call on the default sim ???? 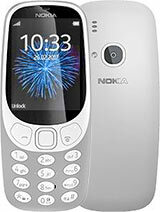 chaitu, 04 Dec 2011by compare all opinions i should buy nokia 101 instead of nokia x1-01.b'coz all suffers wit th... moregood choice! Vicky, 05 Dec 2011Can i receive the call in sim2 when i am already talking in sim1??? ?and how are you supposed to talk with 2 active calls? both sims remain open at the same time? or it switches one by one..
can i receive calls on both sims at the same time or i need to turn on one and turn off other.